City Lights Books, 9780872867192, 120pp. 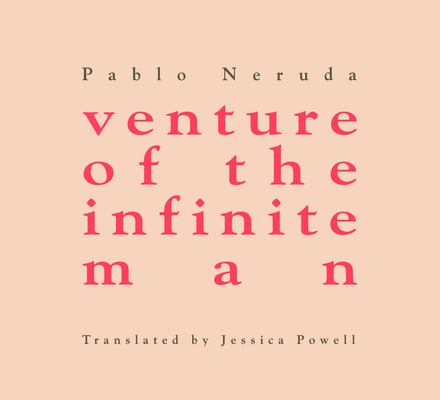 venture of the infinite man was Neruda's third book, published in 1926, two years after his widely celebrated Twenty Love Poems and a Song of Despair. In a stark stylistic departure from the love poems, Neruda composed an epic poem in 15 cantos, discarding rhyme, meter, punctuation and capitalization in what he described as an attempt to better capture the voice of the subconsious. His readers were not prepared for this experiment, and decades after its publication, Neruda lamented that "one of the most important books of my poetry" remained woefully neglected and virtually unknown.